Interest in recycling has never been higher, and we are all keen to do our bit. 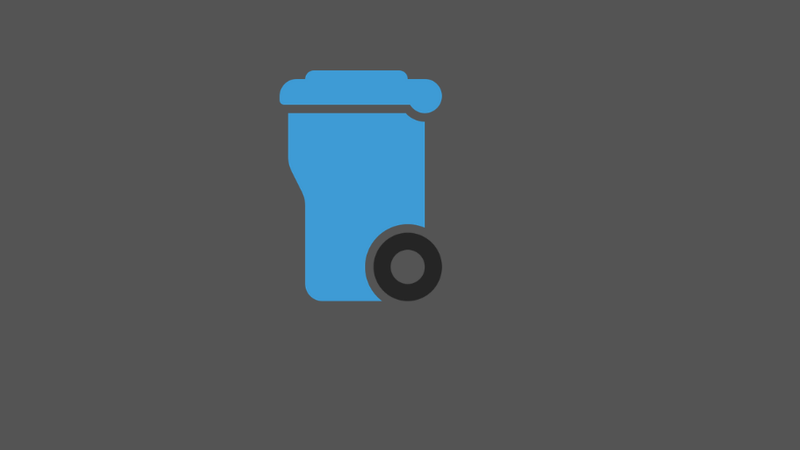 Therefore, Allerdale Borough Council is making changes to the way recycling collections to homes are made – and residents are being encouraged to look out for the new bin or box which will be delivered to their homes over the next few weeks. The new service, which will be delivered in partnership with the council’s waste and recycling collections partner FCC Environment, means the single-use purple bag will no longer be used for collecting glass, cans and plastic. The council is keen to keep the changes as simple as possible. Therefore, once the changes begin residents who currently use a small green bin for paper and card, will therefore use this small green bin for glass, cans and plastic instead. There will be no need to bag the waste up, just pop it straight in the bin. From next week the council is delivering around 40,000 large blue-lidded bins which will be used for paper and card. Deliveries will continue for several weeks, so don’t worry if you don’t get one immediately. With twice the current capacity, these new bins will be collected every four weeks, whilst glass, cans and plastic will continue to be collected every two weeks, once the new service starts. There are a number of households who currently use a green hessian sack for paper and card as well as a purple bag for other recycling. Therefore, the council is delivering a box to these customers, which is for them to use for glass, cans and plastics instead of the purple bag. The hessian sack will continue to be used for paper and card. As it is to be collected every four weeks, residents can have more sacks if required. Other waste collections will remain the same, with weekly collections for non-recyclable and other waste, and fortnightly collections for garden waste. However, it is likely that the collection day will be different under the new service and so residents are encouraged to look carefully at their new bin calendar when it arrives in a few weeks' time. The time bin-crews visit may also be different than residents have been used to. The changes are due to start on 1 April 2019, with residents asked to use the new bins and boxes once their last recycling collection has been made at the end of March ready for the new collections starting. The council will be writing to all residents nearer the changeover, with details of their new bin calendar. In the meantime, the advice is to put their new bin somewhere safe, ready for the new collections to start. Residents can find out more information at www.allerdale.gov.uk/newbins or by calling 0303 123 1702. Stickers are also being delivered to households to go on their small green bin, with details of what it can be used for once the new service begins. The council’s Executive committee agreed to the changes back in October 2018. As well as changes to bin collections, the council is also investing in a fleet of new environmentally friendly vehicles, which use in-cab technology to provide information on the rounds.